The panel, led by Andrea Welshons, new executive director of Gallim Dance (formerly with KEIGWIN+COMPANY), focused on how arts administrators at Pacific Northwest Ballet (PNB) and Alvin Ailey American Dance Theater devised focus groups, studies and programming to attract new audiences while retaining their current attendees. Their first step asked them to identify what segment of the audience they wanted to grow. 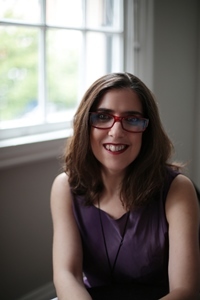 Both Lia Chiarelli, director of marketing and communications at PNB, and Justin Garlinghouse, director of institutional giving and development operations at Ailey, shared one central question their companies wanted to answer about that target audience for the first research portion of the grant cycle. During the 90-minute panel, the conversation aligned with Wallace’s goal of sharing the experiences of its grantees in the hope that others in the field may benefit. And while no hard and fast results are ready to be shared, there has been much learning and success along the way as both organizations will complete the third stage of this multi-year process. This is the second grant PNB has received from the Wallace Foundation, the first being their engagement with the Wallace Excellence Awards (2009-2012). With nearly 50 dancers, the ballet presents more than 100 performances annually, both full-length and mixed repertory ballets, at the Marion Oliver McCaw Hall in Seattle and on tour.The first Wallace grant focused on building audiences between age 13 and 30 and the company reaped the greatest success in increasing attendees in the 13 to 18 age cohort. So this time, Chiarelli said they chose to narrow the scope and look at audiences in the 25 to 40 age range, mindful that their surrounding neighborhood was experiencing an influx of younger dwellers and city demographics were shifting. Some of PNB’s efforts were programming based, including a free site-specific piece in a public sculpture garden with choreography commissioned by Artistic Director Peter Boal from among PNB dancers and other Seattle choreographers. While 2,500 attendees were expected, the event attracted more than twice that number. A more targeted attempt at reaching the 25 to 40 cohort included a series of focus groups to see how the community responded, with a look at reaching those in the tech industry. Chiarelli noted that the tech people were more interested in learning about what happens behind the scenes. An email campaign to market specific shows to its target audience netted more than a thousand ticket buyers resulting in about $60,000 in revenue, she reported. The goal wasn’t just an easy way to buy tickets, but a start at building longer term patrons with targeted messaging. This developed into The Pointe, a project targeted at the 20 to 40 year old age group with special programs, discounts and targeted messaging. With about 4,000 members, The Pointe reaps a 48 percent return rate, which is higher than non-members. What drivers influence performance attendance for millennials? How do these drivers influence attendance? How can the company use those drivers to increase the millennial audience? As primarily a touring company with a five-week New York City season each December, the company set out to uncover the mystique of the millennial holy grail: not only how to attract them, but how to get them to become repeat buyers. Using the year 2015 to research the issue via focus groups and surveys, the project leaders gained insight into what they call “millennial behavior.” Millennials, Garlinghouse noted, want to see a program that connects to their modern lives, but at the same time they also demonstrated a strong connection to traditional works that depicted personal histories. Unsurprisingly, expense was reported as the biggest barrier, but additionally, millennials also shared that they wanted to connect with their peers before and after the concert to deepen their experience. Finally, the Ailey company learned that it needed to increase its presence on social media and it set a goal in 2016 of attracting 2,000 new or lapsed millennial ticket buyers. Garlinghouse explained the Ailey company’s three-pronged approach: examining programming, ticket pricing, and performance extras, including pre- and post-show social events. In 2016, new works in the repertory intentionally included those that addressed current social and political issues: Kyle Abraham’s “Untitled America,” which dealt with the affects of incarcerated men on the African American family and society as a whole; Hope Boykin’s “Revolution Dream,” set to speeches by Martin Luther King, Jr., and Johan Inger’s “Walking Man,” which explored the barriers people put up to connecting with each other. While not a departure from the Ailey company’s works from earlier generations, these pieces had a ripped-from-the-headlines sensibility. For pricing, the company instituted a Young New York night where ticket buyers ages 21 to 30 could purchase $25 tickets, or $90 tickets for $50. To participate they had to sign up online and join an email group and show an ID card. Finally, performance extras were tested, including different locations times and formats. That resulted in one pre-performance event, two after performance events and one in-studio event. These events took shape as a networking party and meet-and-greet with the dancers, an in-studio fitness class and a dance party. A marketing team developed a social media strategy to supply content for Instagram, Facebook and SnapChat. The team also tapped the fashion, art, theater and performance communities with targeted invitations for high-visibility personalities, who would then promote the company on their popular social media platforms. One strategy was not only to promote the new works, but to share photos and videos of classic works “in a new light” to attract younger audiences. The most-attended event was the dance party with 150 people and the lowest was the fitness class. But all events, Garlinghouse reported, were well-enough received that the marketing department created a Young New York Committee that will continue to connect with millennials throughout the year and beyond. Surprises in these studied and focused campaigns included PNB’s assumption that the company could connect with ticket buyers as groups at their work places. But actually, when asked, many people didn’t want to spend their down time with work colleagues. For the Ailey company, one surprise was that the rate of millennials attending family matinees has tripled. Another important fact, Garlinghouse learned: one-third of millennial ticket buyers earned $75,000 or more annually, so price isn’t always a factor. As both PNB and Ailey continue to learn about their target audiences their goals have evolved. Garlinghouse and his team at Ailey hope to continue to tap into social networks and support companion events via social media marketing to help connect with the millennial generation. PNB’s Chiarelli wants to explore what happens to turn a one-time ticket buyer into a return buyer. But both emphasized that before embarking on any marketing plan or change in target audiences, asking questions and conducting focus groups or surveys is an important first step. A survey doesn’t have to be expensive with programs like SurveyMonkey and Focus Group available. It was also suggested that board members and donors could be tapped for data analysis and other post-survey studies. As both Chiarelli and Garlinghouse noted, increasing ticket buyers’ loyalty and addressing new or untapped target markets is a process that takes forethought, long-range planning and attention to what works and what doesn’t. Both also anticipate that there is more to learn — and ultimately more to share — in this ongoing process. 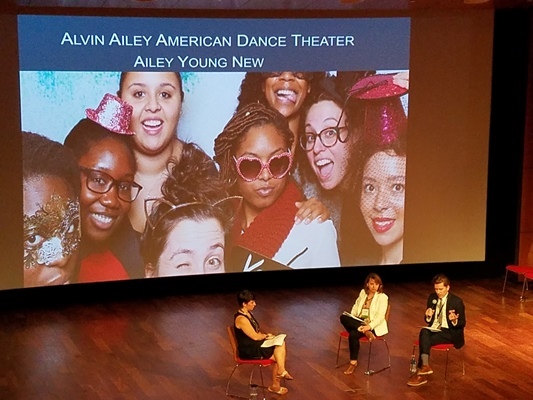 Editor's note: Hear more from these two organizations in the archived webinar, Building Audiences for Dance, featuring Thomas Cott, Senior Director of Marketing and Creative Content at Alvin Ailey American Dance Theater, and Lia Chiarelli, Director of Marketing and Communications at Pacific Northwest Ballet (PNB). Watch the webinar here. For further information, see the Wallace Foundation’s presentation, “Building Millennial Audiences”. Lisa Traiger edits From the Green Room, Dance/USA’s online eJournal, and her writing on dance and the performing arts has appeared in Dance magazine, Washington Jewish Week, The Washington Post and other publications.